Check out what's changed since your last trip. If you've got a World of Warcraft account and you've not checked into Azeroth for a while, Blizzard is inviting you back for a few days. From March 21 through March 24, all inactive accounts will be upgraded, letting you return for free this weekend. And with WoW's lightning-fast progression, you can get a lot done in three days. Even if you've not been keeping up with the expansions, you'll be upgraded to a Legion account, so you'll be able to play everything before Battle for Azeroth. You'll still be able to check out some of the new stuff introduced in the latest expansion, but only via a three-hour trial. The trial is repeatable with up to 12 characters during the weekend. WoW changes dramatically with every expansion, so you'll have a lot to catch up on if you've missed a few. Whole new worlds, classes, races and mechanics have been flung into the mix. 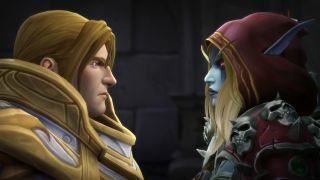 Battle for Azeroth also introduced allied races—twists on existing races that have to be unlocked before you can create a new character. Unfortunately, you won't have enough time to do that over the weekend. I recommend taking a Demon Hunter for a spin. They're the perfect class to explore Legion with, given their ties to the story, and you'll automatically get lots of flashy abilities, gear and a mount by playing the prologue story. After that, you'll be ready to tackle the expansion quests straight away. Also, they have wings and devastating eye beams. They're awesome. To get access, you don't need to do anything special. Just grab the Battle.net app, download the game and play. And if you decide to stick around after the free weekend is over, Battle for Azeroth is on sale until March 31.